Mould and mildew are one of the most widespread harmful fungi that live alongside us in our homes. We can’t escape them, and the battle for survival is constant. Millions of people develop every year different pulmonary and skin illnesses, allergies and even depression, all caused by the negative effect of house mould. These adaptable fungi can spread like wildfire and are drowned to humid and wet places. This means that the rainy London weather offers the perfect conditions for all moulds and mildew. The 3 components that create the ideal environment for moulds and mildews are high humidity, water and an organic base. That is why you can find mould everywhere in the home from your toilet corners to the apples in the fridge. 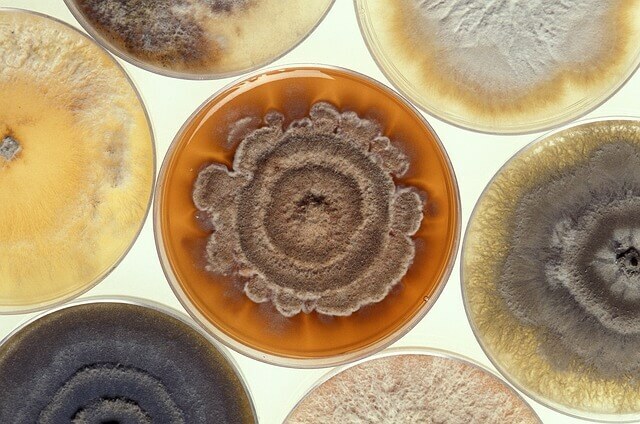 There are some mould species that are classified as toxic and highly dangerous. Toxigenic types of mould could cause numerous neurological problems in children and pulmonary bleeding in infants. They pose a trait to your pets as well. One such fungus is the Stachybotrys. Extended exposure to its effects is known to cause depression and behaviour changes in people. Cleaning a mouldy home is a dangerous job, so you must wear protection in all cases. If you have any suspicion about the type of mould, you are dealing with, it is best to call a professional cleaning team. Toxic fungi are hard to remove if this is the first time you encounter them. The top 3 reasons to have mildew and mould in your home in the first place are left to rot food, window/wall condensation and house leaks (from the roof, pipe and drain problems). That is why you need to clean your fridge and food stashes regularly. Repair every roof or pipe damage immediately and make sure you know how to clean your windows properly. London is a high humidity city and in order to protect your home from mould use room or replaceable dehumidifiers. Remember to keep your room temperature in the cold months below 25°C. Seek medical help with the first signs of pulmonary problems or skin rashes. Everything from a severe migraine, trouble breathing or an eyesore can be an indication that you have a dangerous roommate hidden somewhere in your home.